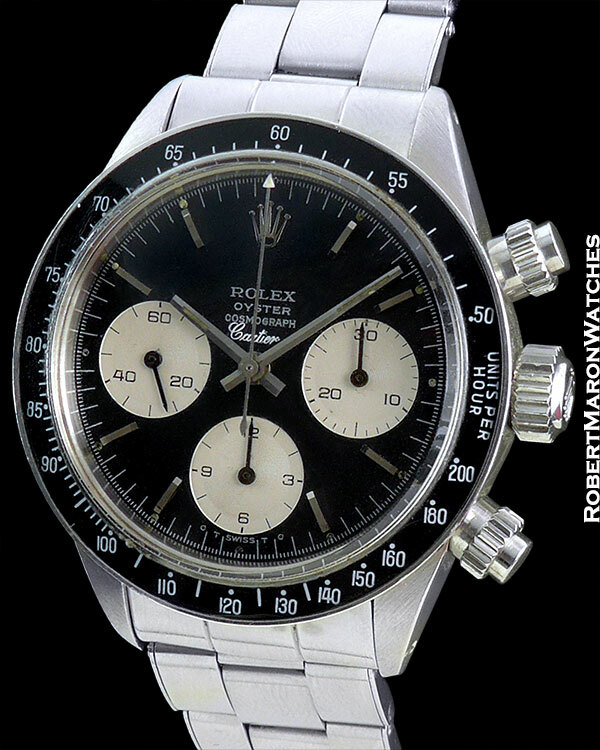 This vintage Rolex Daytona 6263 chronograph with CARTIER co-signed black dial is highly collectable. The 6263 is the last and greatest model of the vintage Daytona range and is becoming more collectable by the day. Original stainless steel case measures 38mm in diameter by 14mm thick. 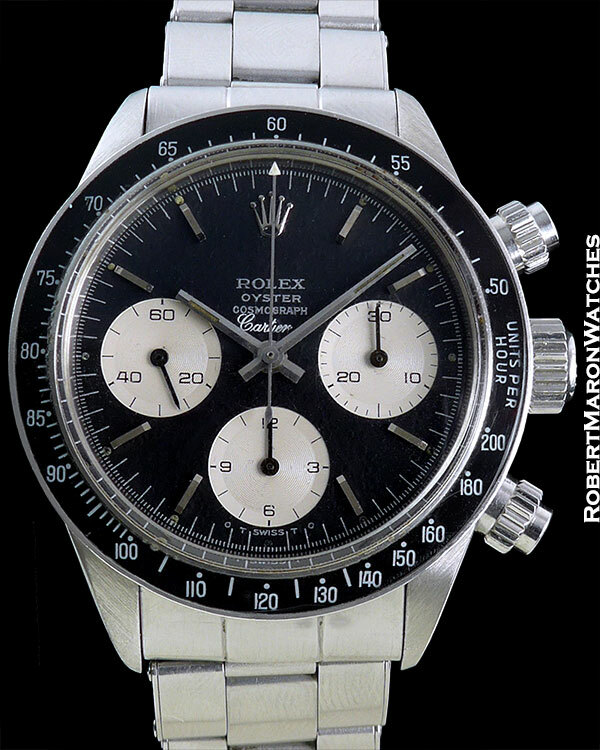 Original early screw down chronograph pushers and screw down crown operating perfectly. Plastic crystal. 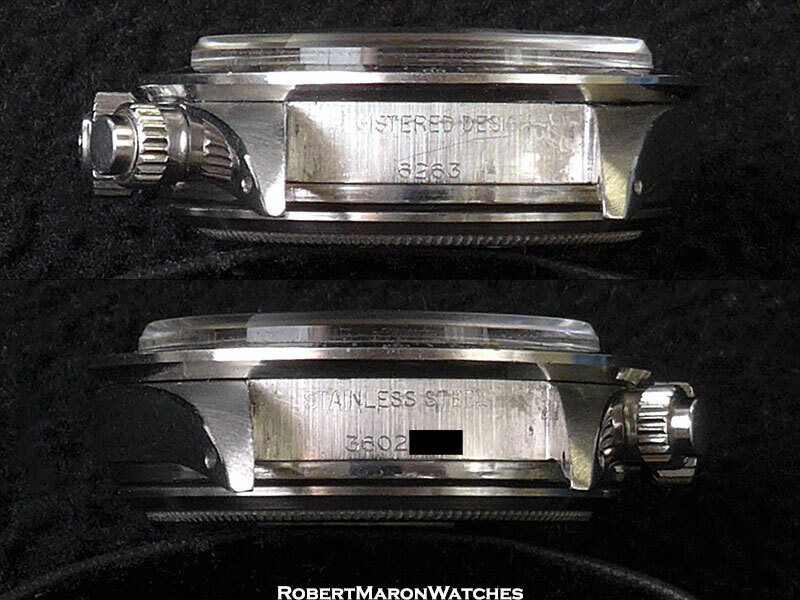 The back of the 11 o’clock lug correctly has the Cartier serial number engraved on it. Original and untouched CARTIER signed black Sigma dial with applied hour markers and original hands. The contrasting silver subdials are sunken with concentric guilloche and provide: running seconds, 30 minute and 12 hour chronograph totalizers. 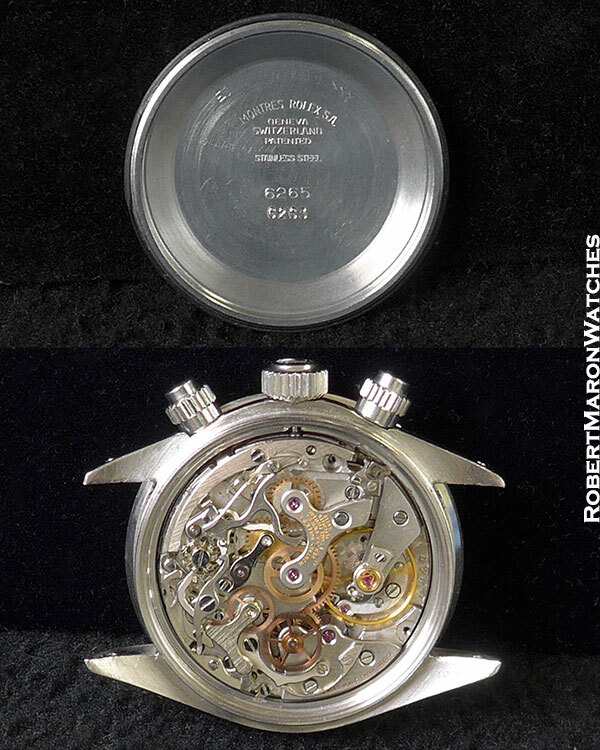 Original movement is the manual winding Rolex Caliber 727 with 17 jewels and column wheel construction. The movement is clean and running. Rolex riveted Oyster in mint condition.